Around Christmas time we were hearing all the rage about silk pillowcases and felt a little left out. We had never really even thought about silk pillowcases and all of the benefits of sleeping on one until then. We started reading and doing a little research and y'all!!!! We feel like we had been living with our heads in the sand. Good for your hair and your wrinkles? You better believe as soon as we found that out we were all about jumping on the silk pillowcase bandwagon. 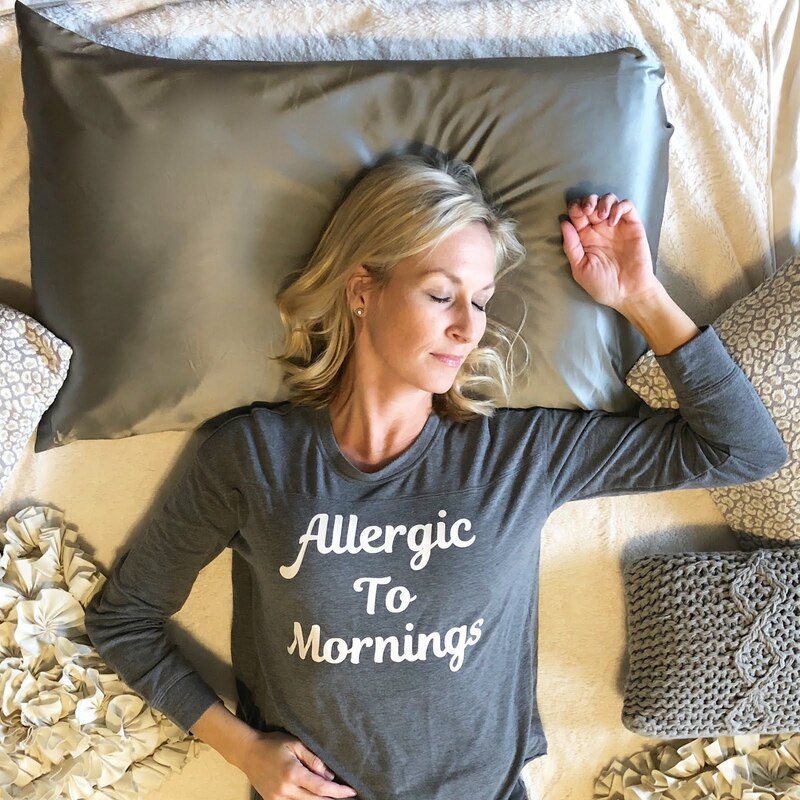 Apparently studies have shown that sleeping on a silk pillowcase can help reduce wrinkles because the older you get the "sleep" wrinkles that happen overnight don't disappear as quickly as they once did. Over time they may become more permanent. No one wants that! When sleeping on a silk pillowcase your face glides over the silky smooth fabric keeping lines and wrinkles to a minimum. Not only is it good for your skin, but also for your hair and it totally makes sense when you think about it. With a regular pillowcase your hair is met with friction when it moves, which can not only damage and break hair, but also give you a serious case of bed-head. With a silk pillowcase your hair glides over it smoothly keeping hair healthy. Bonus, if you curl your hair it will often keep some of it's curl while you sleep. 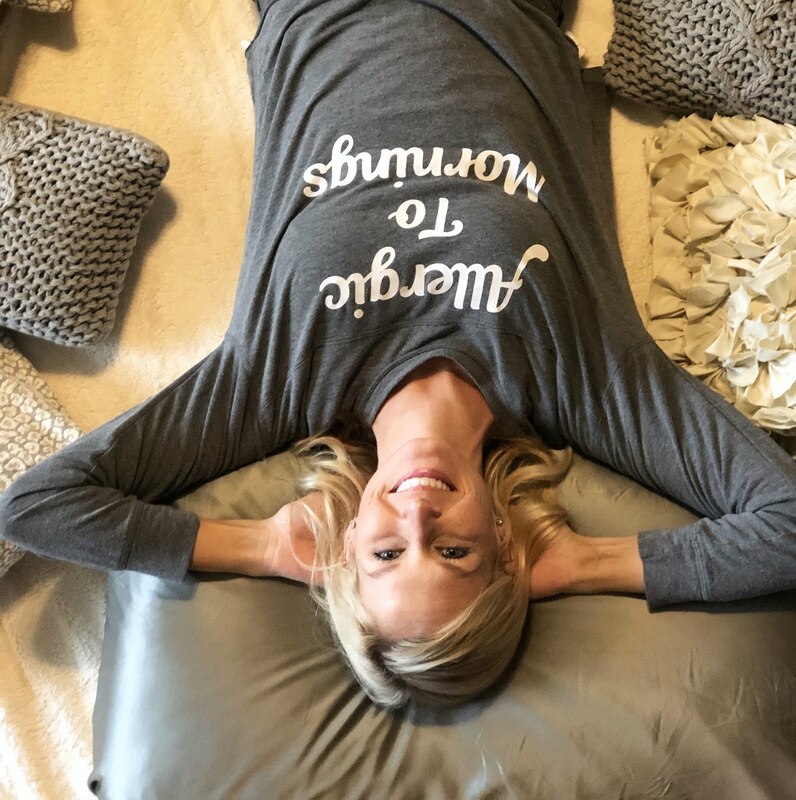 We reached out to our friends from Fisher's Finery about trying their silk pillowcases after seeing they were available on Amazon and had over 1,000 reviews. They come in several different colors and sizes and we both got one that was similar to our regular sheet color so when the bed is made you can't even tell it is different. We didn't think the guys would care too much about a silk pillow case, so we just got ourselves one. 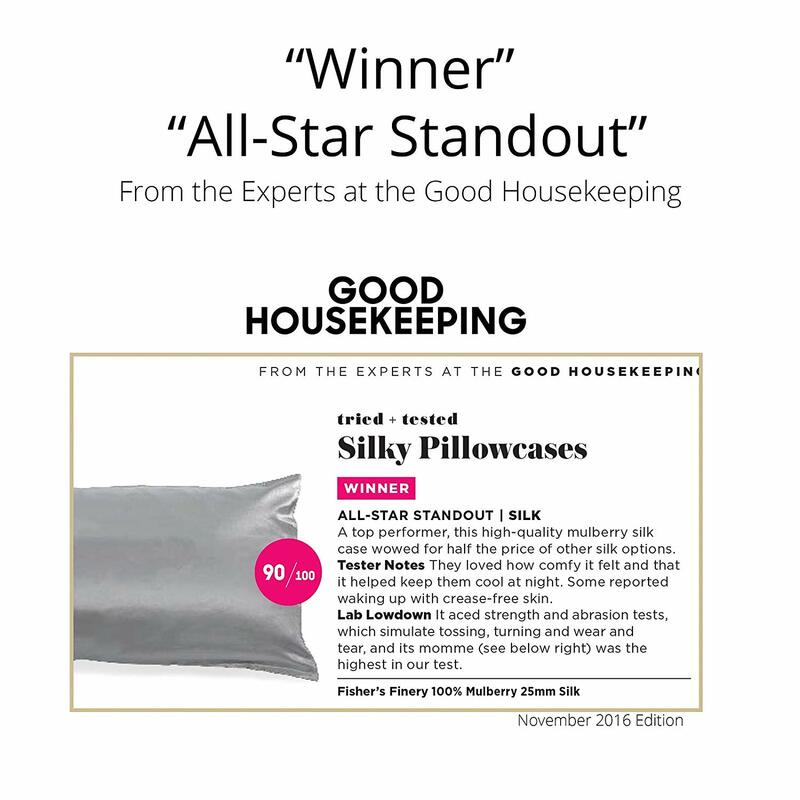 The Fisher's Finery silk pillowcases are made from pure 100% Mulberry Silk and also won the Good Housekeeping stamp of approval! We both love them and really feel like the hair thing is the best because we can wake up and not have to do much to our 2nd day hair. After loving them so much we also ordered some for our girls because they all have some form of curly hair that becomes super tangled overnight. This has really helped prevent as many tangles and makes mornings a little bit easier. For the girls we decided to try satin pillowcases. They obviously aren't quite as silky smooth, but for them we feel like it was a great alternative at a lower price point. 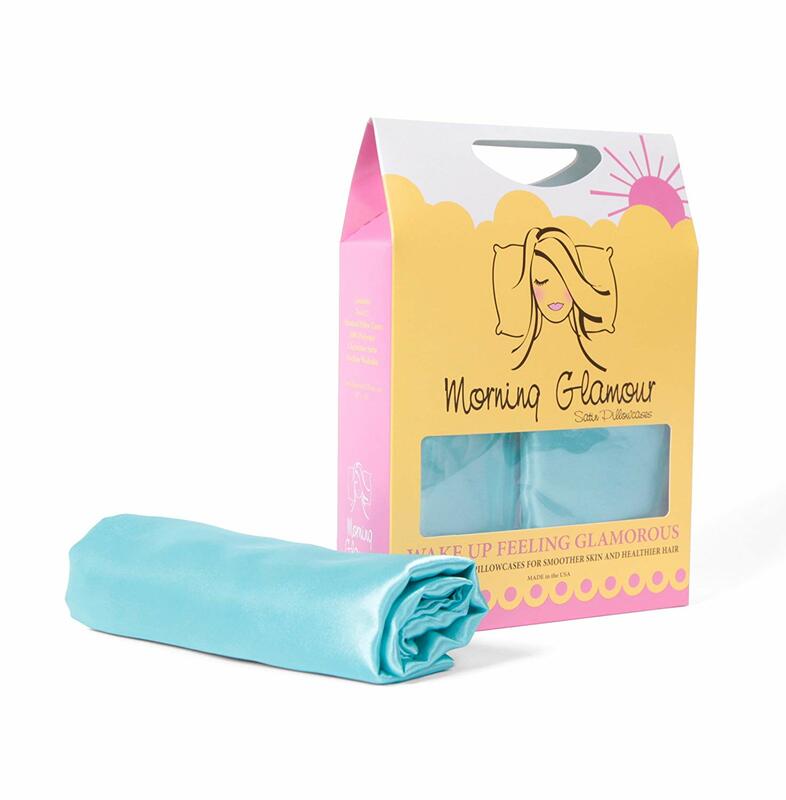 These Morning Glory satin pillowcases come in a two pack and are available in a ton of different colors and patterns. We are so curious to hear what you all think? Do you sleep on a silk pillowcase? Do you believe the hype like we do? Let us know in the comments!